Hubspot is a cloud-based, all-in-one, integrated marketing software suite, built with a marketing mindset. The HubSpot tool brings together industry-best blogging, email marketing, keyword research, contact database, smart calls to action, landing page, smart form, and CMS tools all under one virtual roof. Integration maximizes efficiency and allows for swift shifts in tasks that line up directly with the Inbound Marketing Methodology. The Hubspot software is a collection of tools. These tools can be used independently and they also integrate with each other. Prospects, leads, and customers who click on your offers should never have to fill out the same form twice. HubSpot offers the ability to hide form fields if a lead has already given you that piece of information. This limits the barrier of entry for people who have already downloaded your content. HubSpot gives you have access to the most powerful marketing database ever created. No other system lets you maintain and work with as much comprehensive consumer data. It’s the only database you’ll ever want or need. No more managing multiple lists, and constantly downloading, merging, and uploading. A blog is a great way to attract new prospects to your website. Businesses that blog average 55% more website visitors than those that don’t blog. HubSpot allows you to easily create posts with a simple editing interface and get search engine optimization (SEO) tips as you type your post. Blogging requires a time commitment; to justify that time, you need insight into the results your blog is driving. Hubspot blog analytics provide detailed feedback and metrics concerning which posts were most effective at generating traffic and inbound links. Your marketing database is your most important asset, but that database is only as powerful as your ability to leverage it. HubSpot takes your database to the next level by making it easy to build targeted segments and workflows based your contact information, lifecycle stage, and lead behavior. The in-depth lead development system lets you nurture your leads effectively through your entire sales and marketing process. Game changer, for sure. Relevance is critical to your email marketing campaign. If your emails are not relevant to your leads, they will not promote any meaningful engagement. 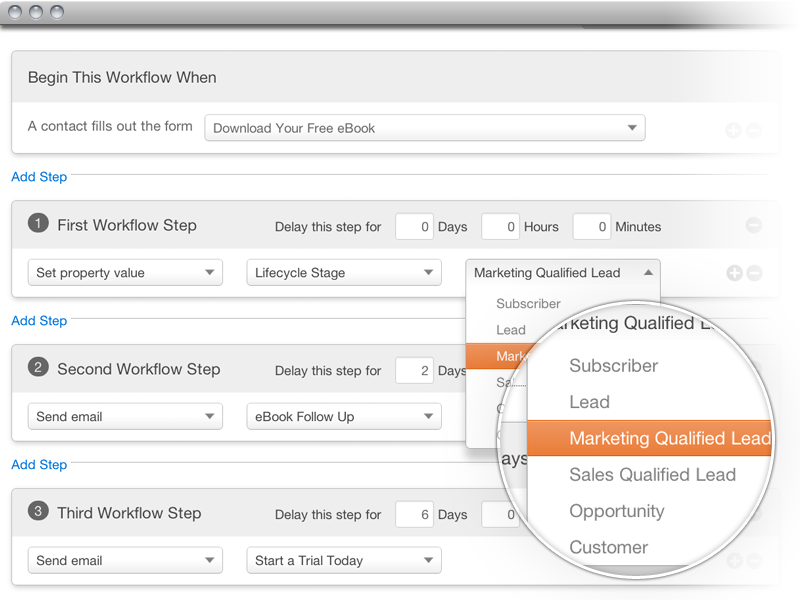 HubSpot is the only email platform connected directly to your marketing contacts database. This means you can make your content more personalized and increase the rate at which your emails are opened and drive consumer action. This is where the integration of Hubspot really pays off. Landing pages are your best place to convert website visitors into inbound leads. As you manage inbound marketing campaigns, you need to create a lot of specialized landing pages. HubSpot makes it even easier to build beautiful landing pages that are designed to increase conversions and drive campaigns. 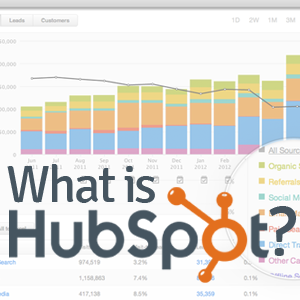 HubSpot’s integrated analytics make tracking analytics and conversions on landing pages a snap. The magic of inbound marketing is found in the linking of marketing and sales to track leads through the funnel. Connecting your marketing automation sfotware to your CRM is critical to help make this partnership streamlined and efficient. HubSpot offers integration with industry leading CRMs including Salesforce (a HubSpot investor). This will blow your mind – Hubspot allows you to track every social interaction you have with your leads! Every click on a link that’s been sent out to a social network is tracked. These clicks can even trigger emails and help segment your list to further target your marketing automation. Smart marketing means customizing your leads’ experience with your company – and this isn’t limited to email messages. 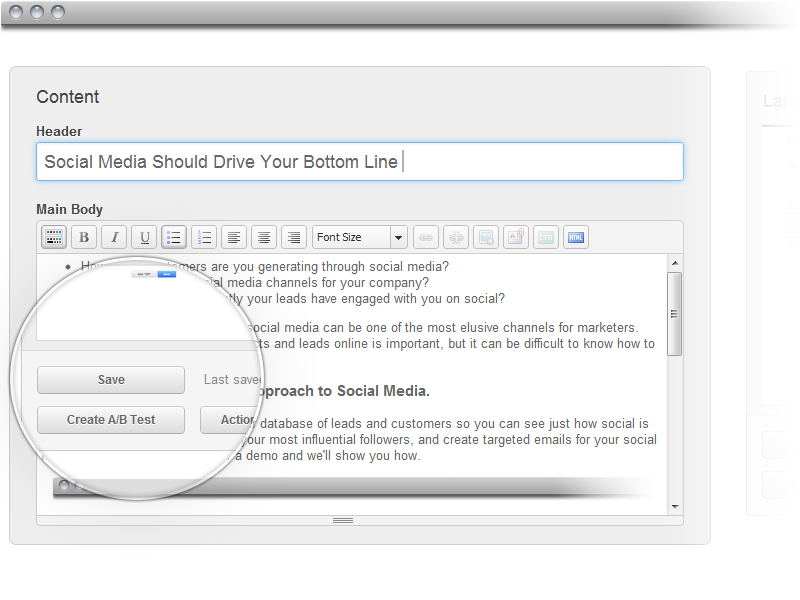 With HubSpot you can segment your leads and customize which offers to display on your website. This represents a huge step forward for marketers everywhere! 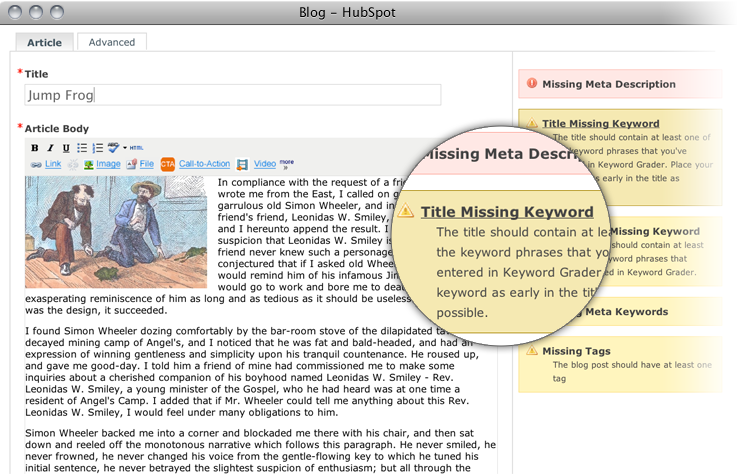 For a full list of Hubspot features, click here.